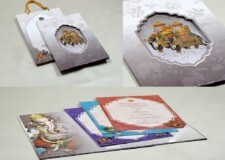 Ghanshyam Cards was established in 1971 and is one of the leading and most reputed designer of Indian Wedding Cards & Invitations from Ahmedabad, Gujarat. 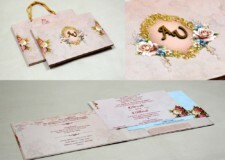 Ghanshyam Cards is where we showcase our passion for creating Inherent Wedding Cards that suit the couple’s interests. 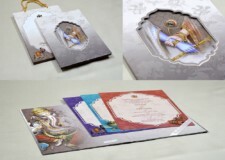 We continuously strive to offer you superior Indian wedding cards to make your wedding even more blissful with the blessings of your near and dear. With a wide range of traditional as well as Contemporary Wedding Cards designs to select from, we can cater to almost every aesthetic taste. 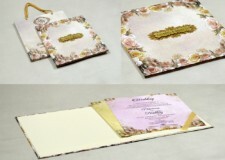 Our Wedding Cards are made of vibrant & varied textured papers. Our designs are highly creative, innovative and exclusive and have impressed our clients tremendously. The range of designs that we offer are both exhaustive and comprehensive.